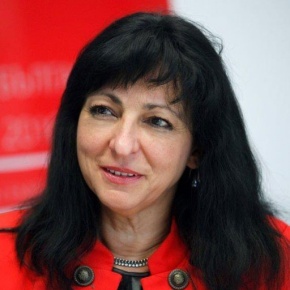 Dr. Krassimira Chemishanska is a Country Director of Amgen Bulgaria since 2009. She has been responsible for opening the new Amgen affiliate, establishing Amgen’s operations, setting up the organization and developing the business in the country. Amgen is a biotechnology innovator, focusing on areas of high unmet medical needs. Since 1980 Amgen has grown to be one of the world's leading independent biotechnology companies, developing a pipeline of medicines with breakaway potential, aiming to help reducing the social and economic burden of disease in society today. Dr. Chemishanska is a business leader in the pharmaceutical industry with more than 20 years of experience on the Bulgarian market, taking senior positions in several multinational pharmaceutical companies. She is a President of AmCham in Bulgaria as well as member of the Board of Directors and a Chairman of AmCham Health Committee. Member of ARPharM Board of Directors and Foundation "Junior Achievement". Krassimira graduated Medicine from the Medical University in Sofia, obtained a Diploma in Marketing, followed by a Master Degree in Business Administration from the International Business School and a Master Degree in General Management from the City University of Seattle. Certificate of Appreciation, United States, Department of Commerce, for “her tireless efforts to strengthen U.S.-Bulgaria bilateral trade and investment in healthcare sector”.